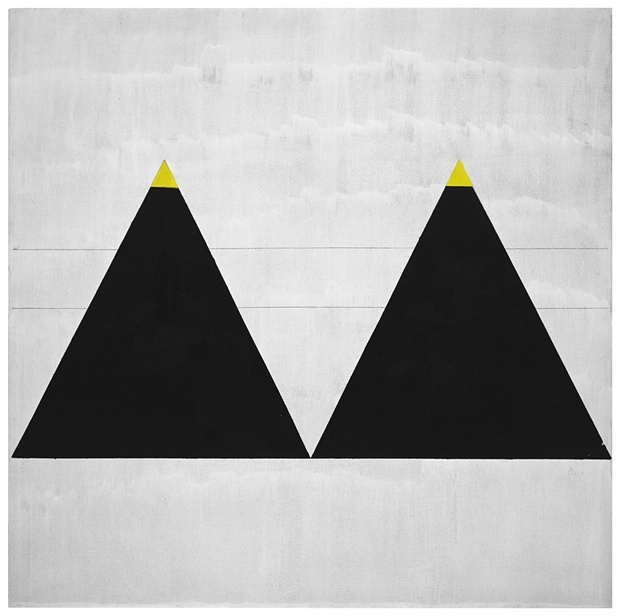 I rushed to Tate Modern first of all as I realised that the retrospective of Agnes Martin was about to end. 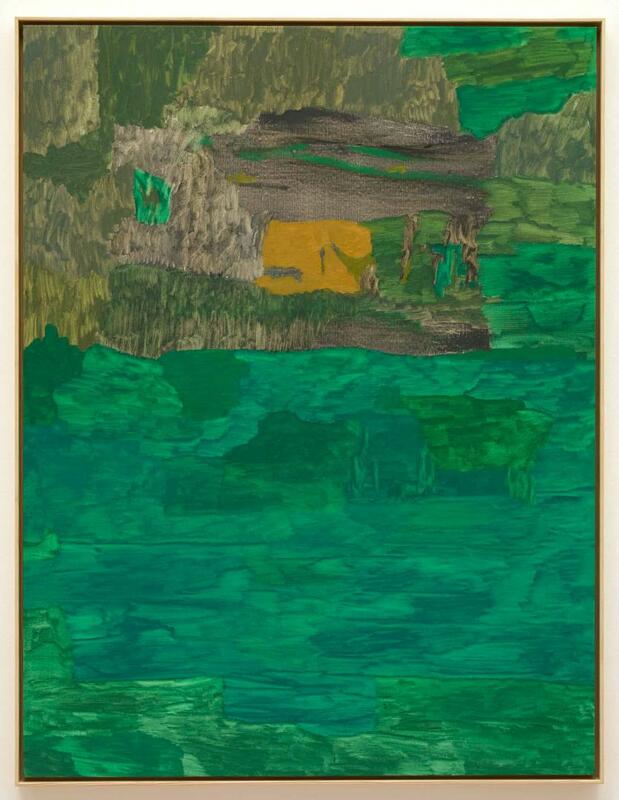 Martin’s early abstract works referenced numerous masters of American Expressionism as she tried out various different approaches. 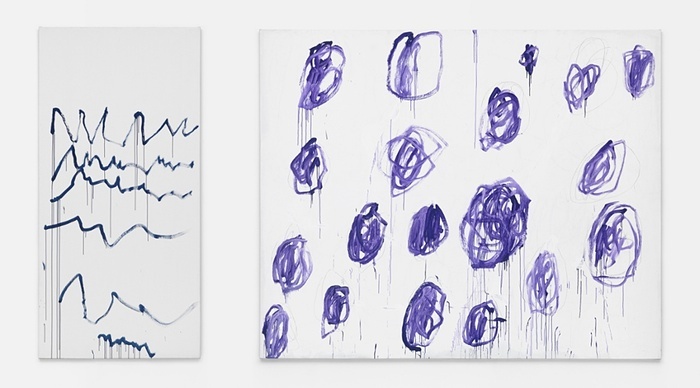 The earliest are somewhere between Joan Miro and Cy Twombly, with floating biomorphic forms on a painterly white ground and lines like threads or roots or scratchy hieroglyphs. 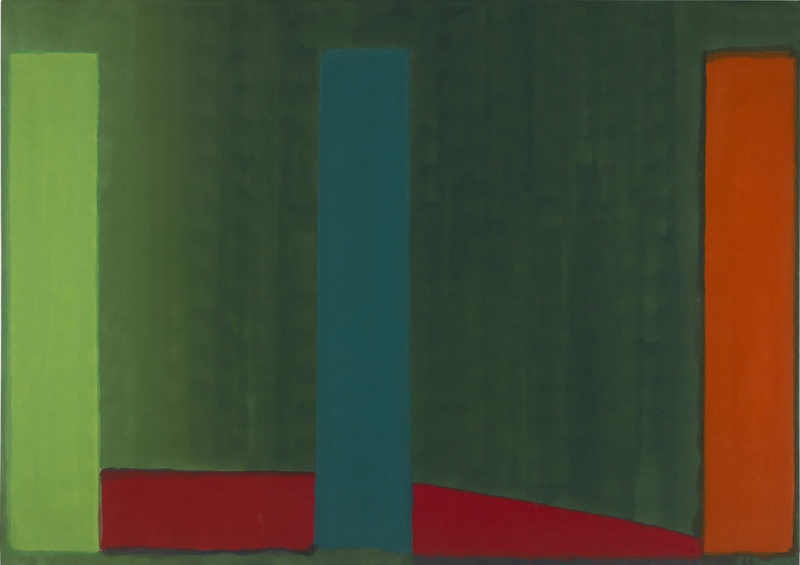 ‘Harbour’ develops the amoeba-like forms into something more solid, with echoes of William Scott; while further on the shapes are simplified as Martin moves towards a paler vision of Mark Rothko and Barnett Newman – both of whose influence she acknowledged (‘Untitled’, 1959, above). 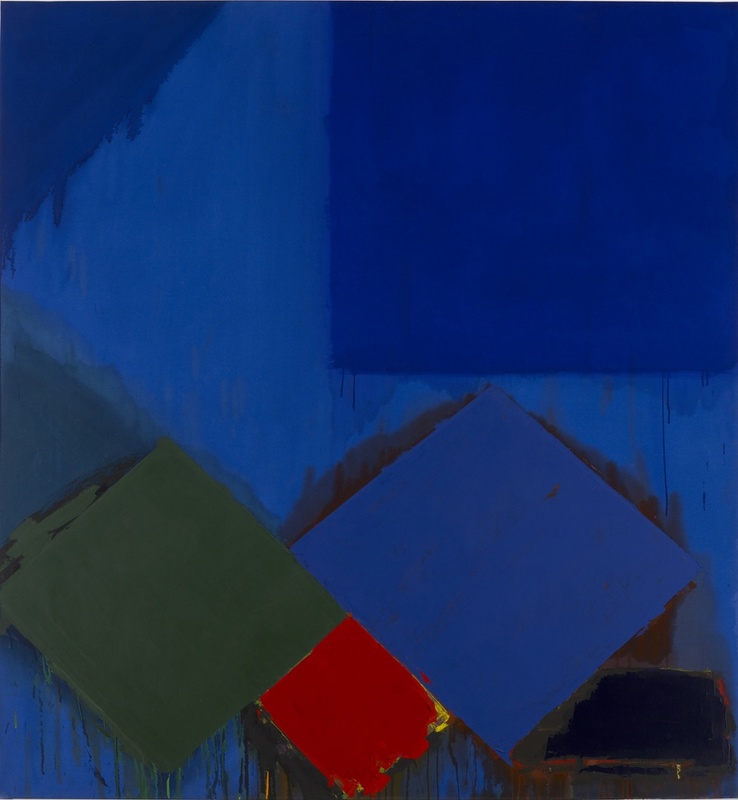 In fact, Martin was taken on by New York art dealer Betty Parsons, who represented both Rothko and Newman. 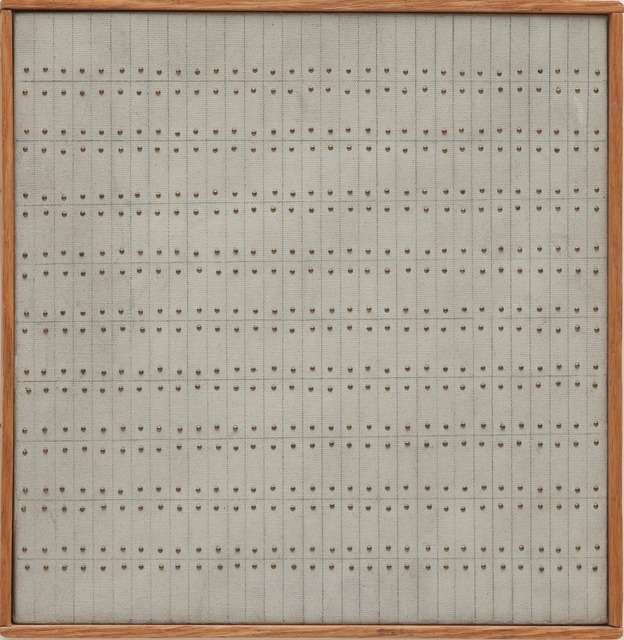 From Taos, New Mexico, Martin moved into a sailmaker’s loft in New York to take up this offer; here she experimented with ‘found’ objects, producing some sculptural pieces using driftwood and nails, and also incorporating nails into paintings on canvas such as ‘Untitled’ (1962, above). 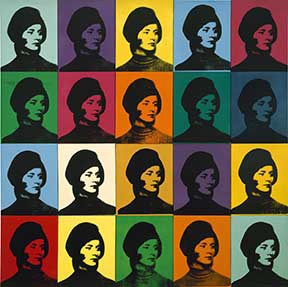 These remain an anomaly in her career, but were perhaps in some way instrumental in her move towards ever simpler forms – squares, rectangles, dots and repetitive linear marks. 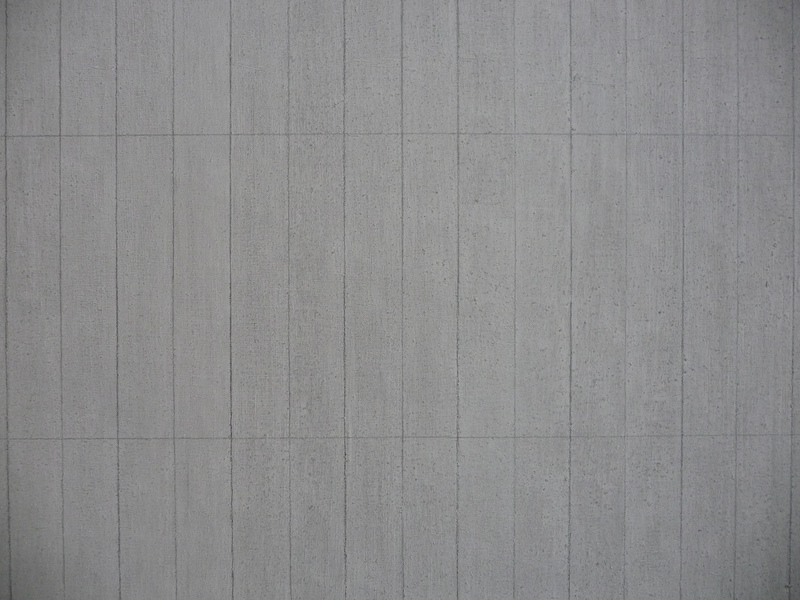 ‘More and more I excluded from my paintings all curved lines, until finally my compositions consisted only of vertical and horizontal lines’ Martin has explained; yet her series of large square canvases from the 1960s-70s show the powerful effect that this austerity of means could produce. 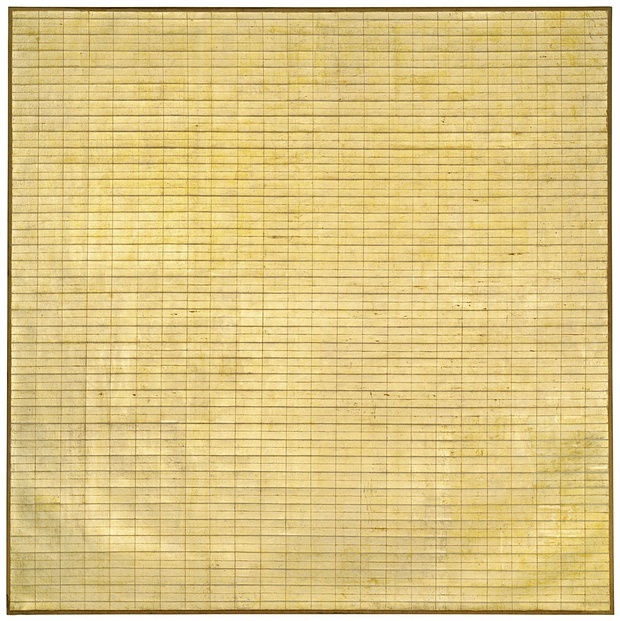 The ‘aesthetic of the grid’ is explored in all its subtle permutations (even using gold leaf in ‘Friendship’, 1963, above top); Martin painted the canvas – usually white or pale grey – before constructing intricate grids using pencil lines. 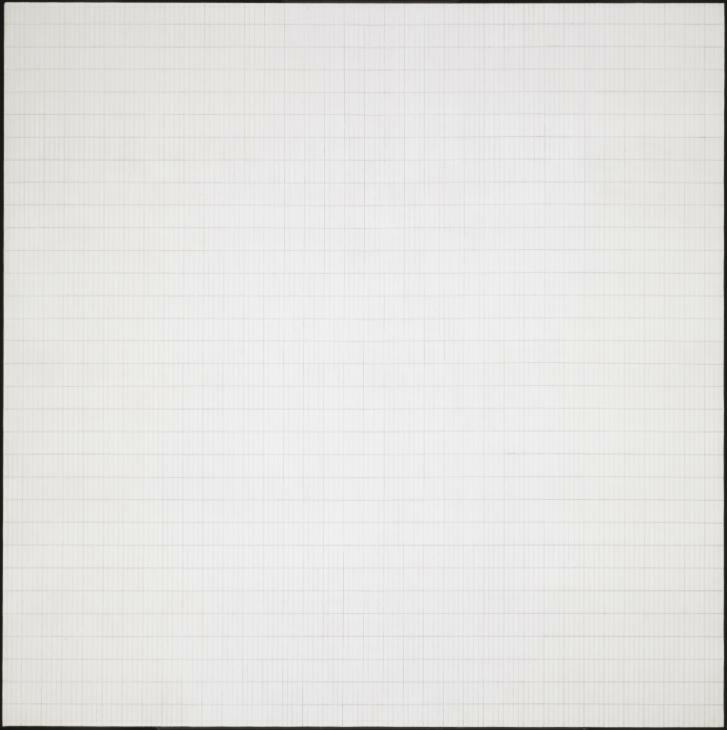 An early series from the 1960s are like an intense study of workbooks – maths books, accounting books, lined notebooks – rational and repetitive in design, but on a grand scale strangely hypnotic and deeply calming (‘Morning’, 1965, above). 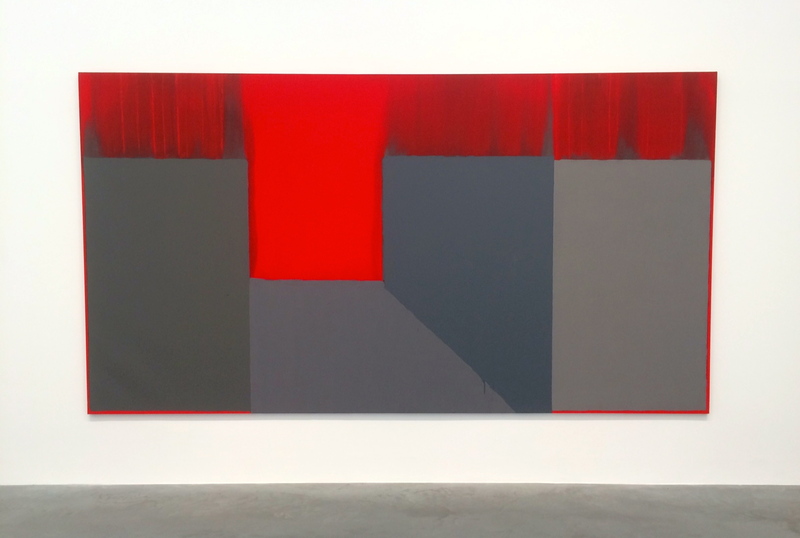 The human hand is ever there, in the texture of the painted background and the lines which sometimes waver very slightly and do not quite meet that edge of the canvas – yet the superimposed grid structure contains and controls this human fallibility. 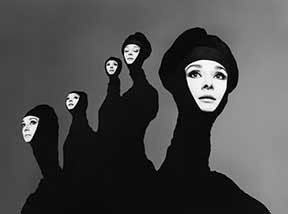 Together the series has an almost monumental presence. 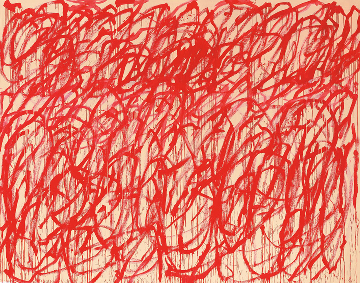 It is interesting that curator at this point informs us that Martin suffered form schizophrenia. 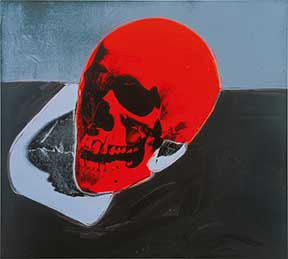 This striving for control and perfection is given new form in a series of thirty screen prints, ‘On a Clear Day’ (1972, above), completed in Stuttgart, Germany. There is something perverse about using the roundabout method of screenprinting simply to reproduce pencil-drawn grids, perfectly. 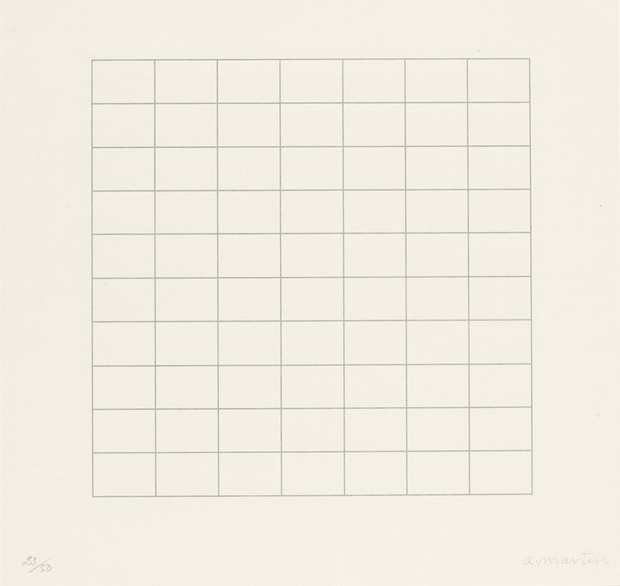 Some grids are contained, others open-ended, untethered and infinite; all thirty are different, variations on a theme rather like music. 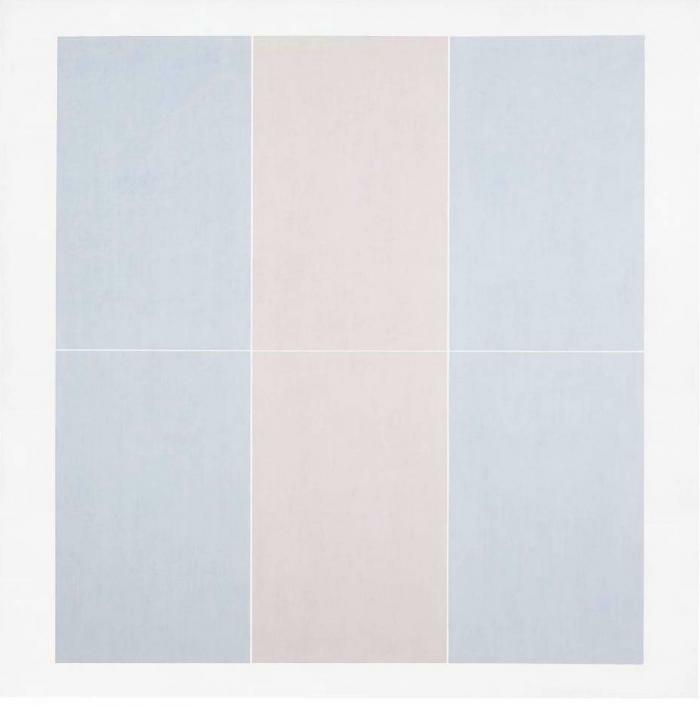 Then colour returns with a series from 1974, pale pinks, blues and yellows softly applied to a surface of acrylic gesso in precise rectangles or stripes, delineated by the ever-present and just-visible pencil lines (‘Untitled #3, 1974, below; ‘Untitled’, 1977, study on paper, bottom). 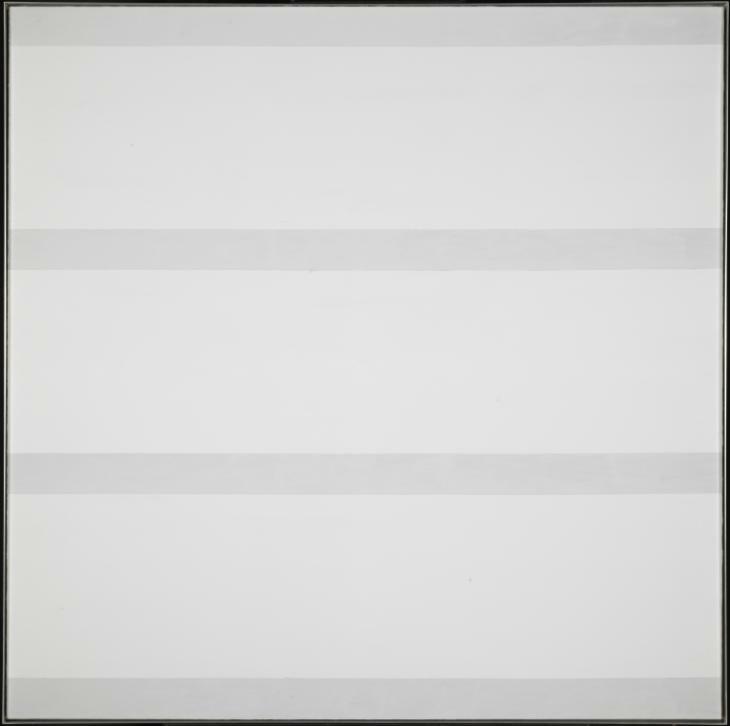 The grey paintings that began in 1977, though reduced in colour range, are more varied in technique. 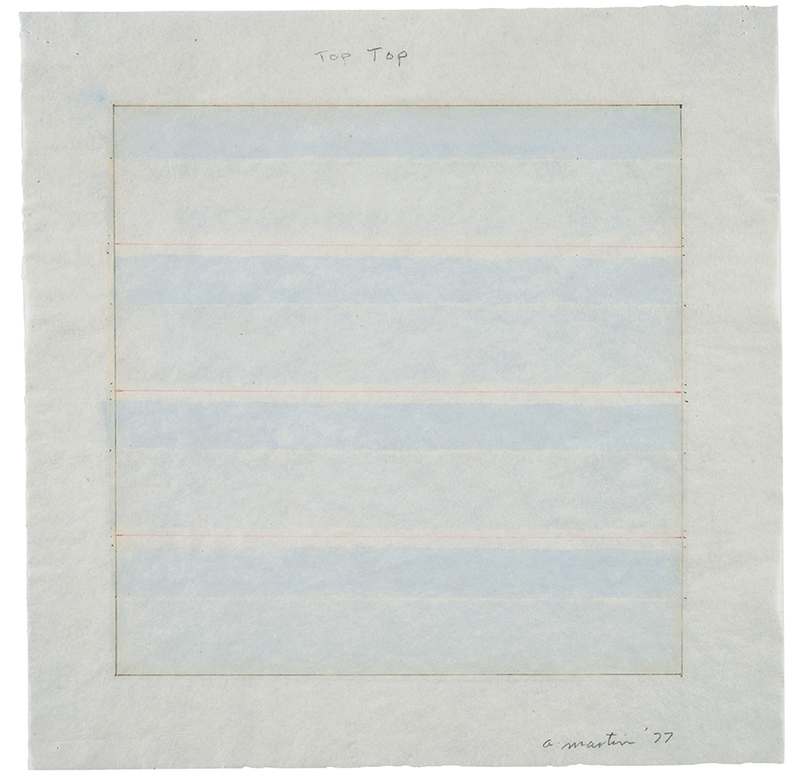 In one, Martin uses a textural gypsum ground covered by a wash of Indian ink on top of which her habitual horizontal bands are drawn in graphite. 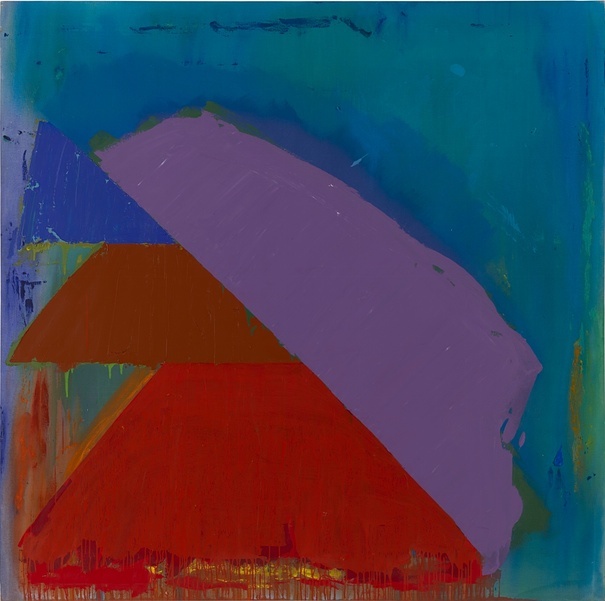 Some paintings are graphic, using flat planes of paint and sharp edges; others are like studies of the surface of rocks, up close and on a large scale (‘Untitled #12’, 1977, below). 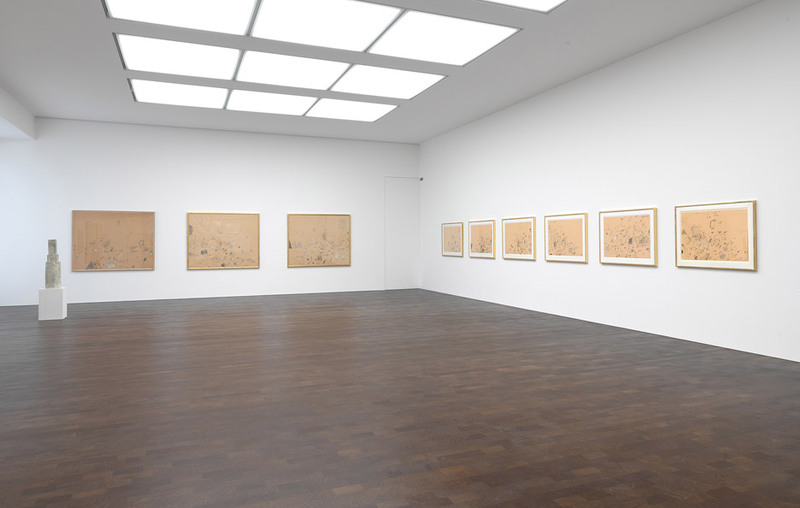 Next door is a series of twelve white paintings, ‘The Islands’ (1979), with pencil lines as fine as cobwebs and such pale modulation of colour that it might just be one’s vision playing tricks. 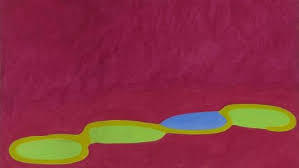 They are dreamlike, the shifting lines creating a silent rhythm, almost pulsating around the room. 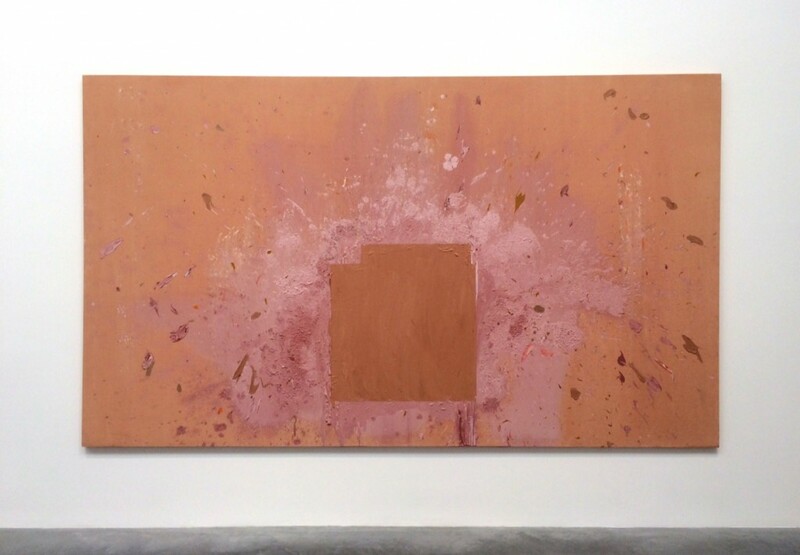 Everyone was silent, inspired by a contemplative awe; or was this prompted by the curatorial text asserting that the paintings should ‘invite concentrated looking’ and ‘convey a contemplative quality’ reflecting ‘East Asian philosophy and spirituality’? Context and cultural norms will always play a part – a painting above an altar will often inspire awe and a certain mystical transcendence that it might not if it were on the wall of a canteen or an office, though it might still glean respect and admiration. 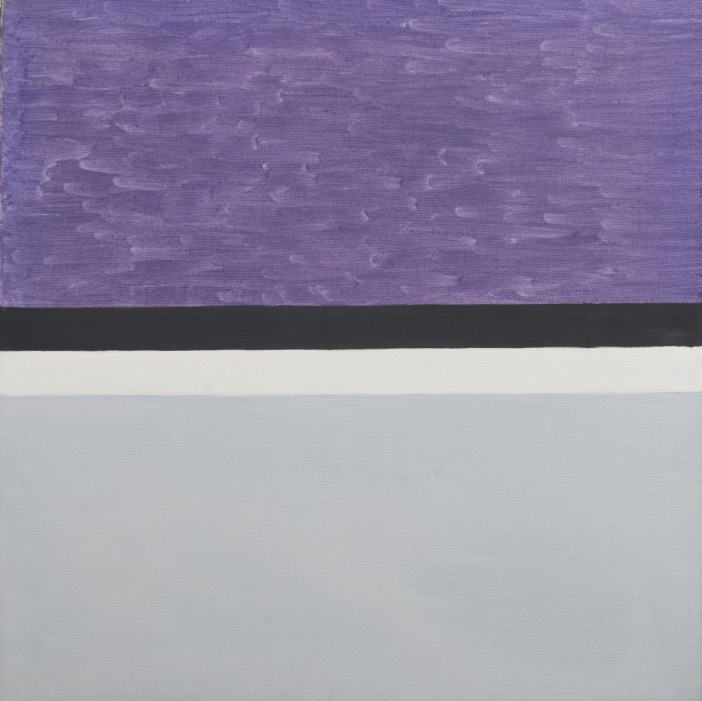 Martin’s later career (she lived until 92, back in New Mexico) shows her revisiting past styles – the colour stripes, the grey paintings (‘Untitled #5’, 1991, above), the early Rothko-esque canvases – but with a brighter, looser paint surface, and in some the introduction of solid geometric shapes superimposed (‘Untitled #1’, 2003, below). 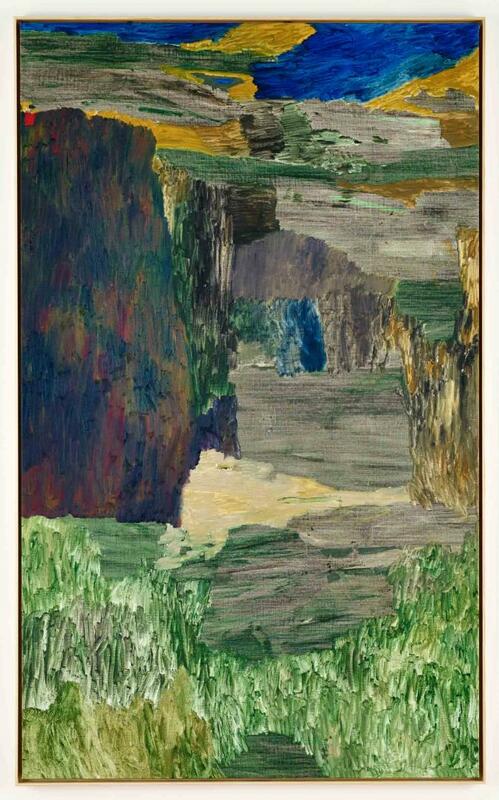 These are the closest Martin gets to ‘landscape’; while the work of other artists drawn to New Mexico, such as Georgia O’Keeffe, are suffused with natural forms, there is none of that here. Yet there is a common feeling for the wide empty spaces and timelessness of that land, something primitive and elemental. 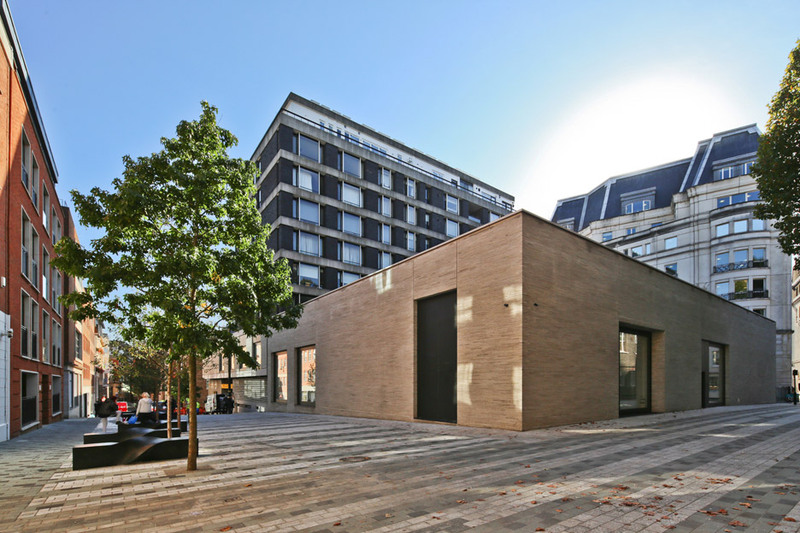 It undermines the image of an expensive, glamorous and international contemporary art showcase when the first exhibit one’s eyes alight on is a garishly colourful children’s playground. Complete with children (it was a Saturday), who sensibly decided to overlook any ‘high art’ connotations and use it as it seemed to demand. 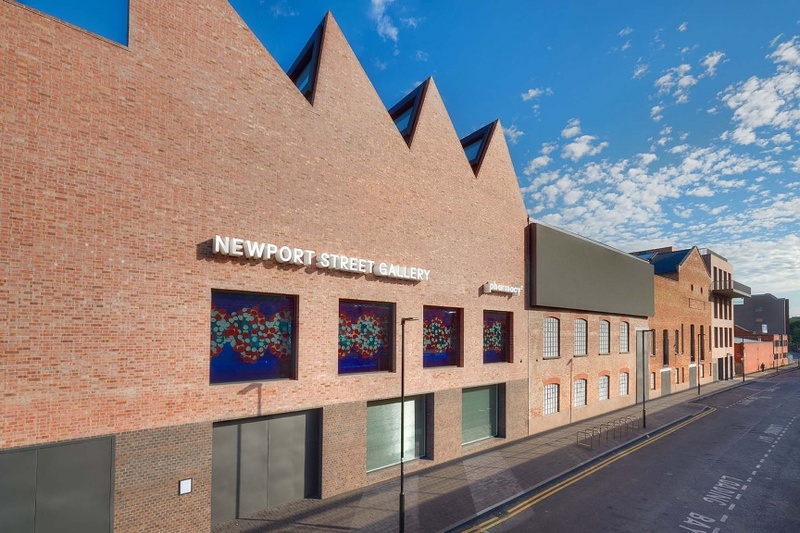 The Gagosian’s thought process in commissioning Carsten Holler to produce such an aesthetic affront is hard to fathom; I put it down as usual to ‘shock tactics’ – which are harder than ever to pull off in this world of social media enhanced exhibitionism. 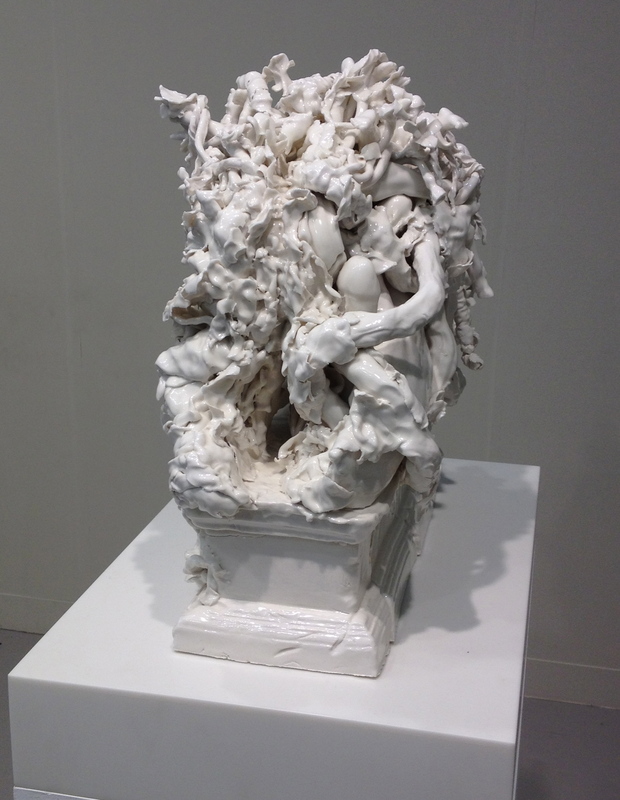 The White Cube stand was reassuringly populated by all the names one expected to see: Damien Hirst, playing with zips and razor blades, an Anthony Gormley robotic wire sculpture… And this rather beautiful porcelain mash-up of classical sculpture on a broken plinth by Rachel Kneebone (above & left), which may have been the only exhibit to win over my flitting attention span for whole minutes as I peered, trying to make out the tangle of contorted limbs. 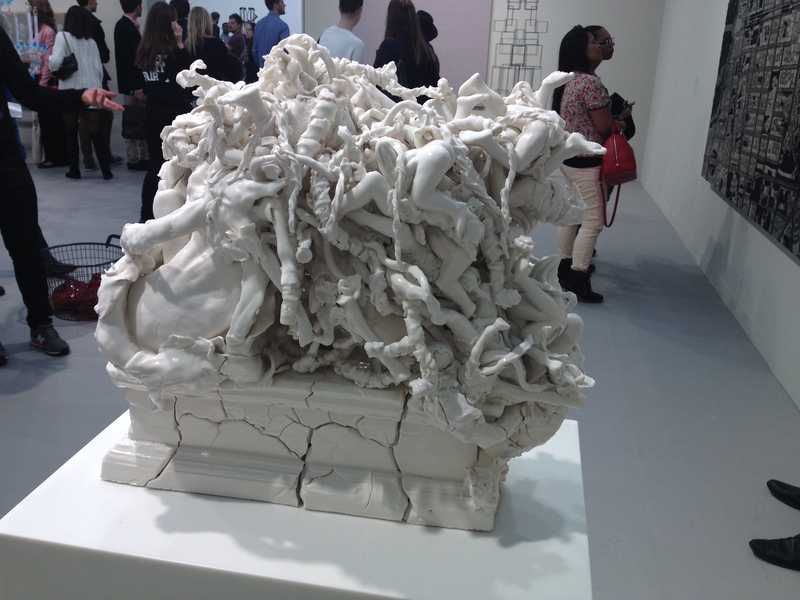 It was Ancient Greece by way of Louise Bourgeois, on a delicate Rococo scale. 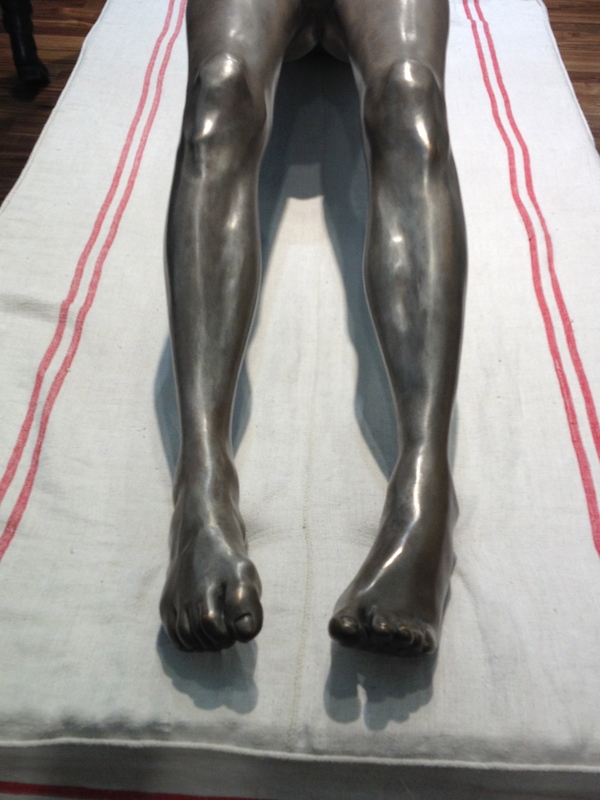 And talking of Louise Bourgeois, there was an exquisitely sculpted life-size figure by the artist on Hauser & Wirth’s stand – emaciated, with back arched as if undergoing electro-therapy on the thin striped mattress (right). 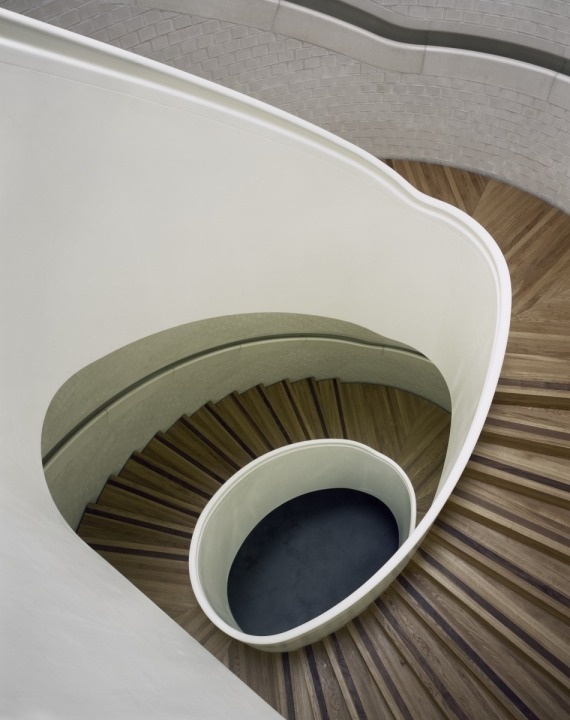 The stand, curated by Mark Wallinger, was entitled ‘A Study in Red and Green’, a take on Sigmund Freud’s study in Hampstead. Regardless of this fact (which I was unaware of at the time) the curatorial attention to detail – from the carpets and furnishings to the brightly painted walls and choice of closely packed works of art – made of the stand a superb mini-exhibition in its own right. 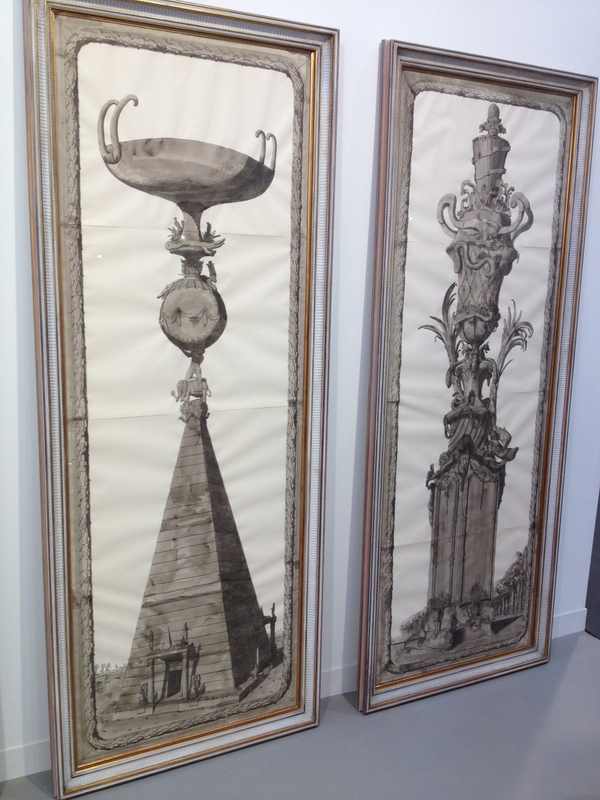 Other personal highlights included Pablo Bronstein’s Piranesian architectural fantasies (left), looking incongruously Baroque amidst all the avant-garde edginess. 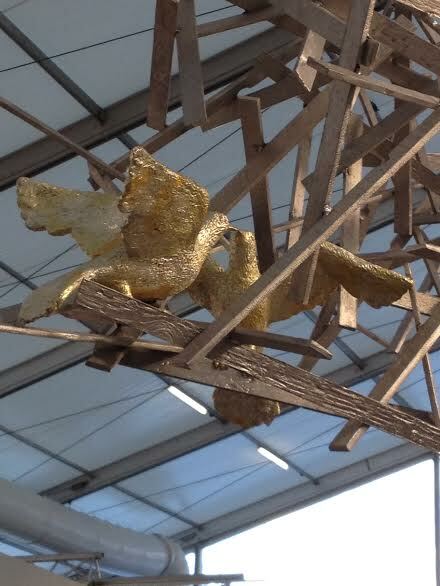 Bronstein’s work has been described as the application of historical veneers to contemporary feelings, a fusion of 18th century pomposity with Postmodernism. 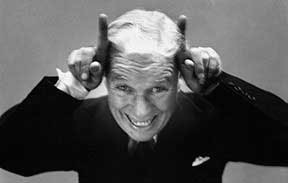 It is a pastiche that, in recalling European art and architectural history, is better placed than most to comment on its assimilation into today’s culture. 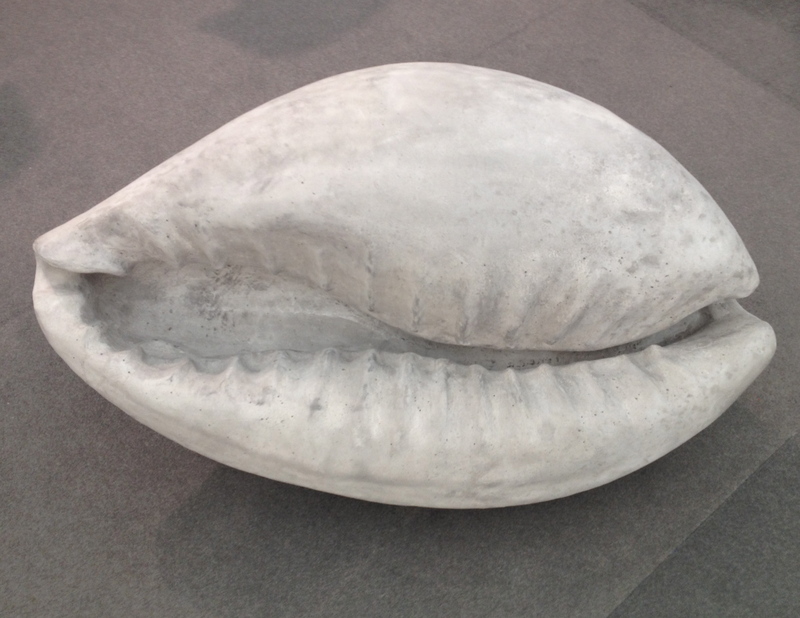 Elsewhere there was a pleasingly simple sculpture of a giant cowrie shell, which, should I ever live by the sea, I would like in my garden. 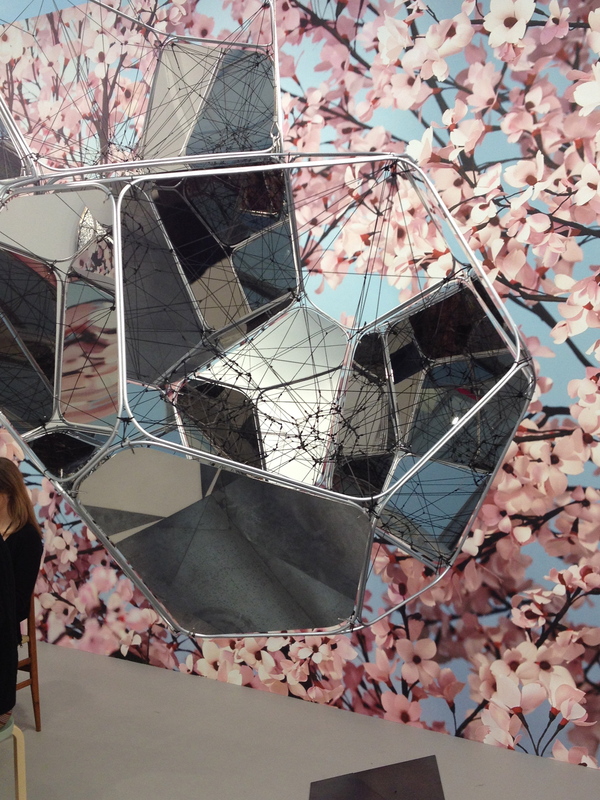 There were several entertaining mobile pieces, one with two gilded doves flirting on a nest made from shards of kindling (right), another by Tomas Saraceno constructed of intricate wire mesh and mirrored planes, taut and balanced as a space-age Barbara Hepworth sculpture, against a background of cherry blossom photographed by Thomas Demand (below). 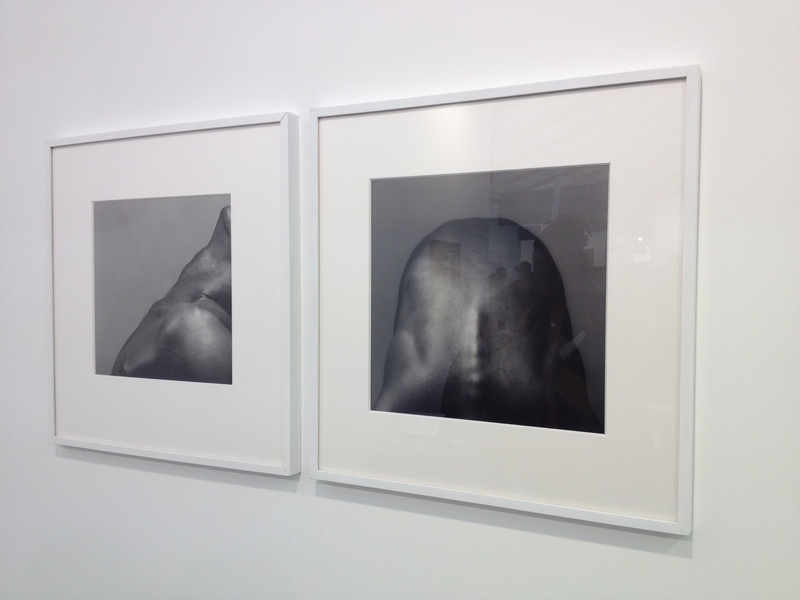 In terms of photography big names such as Andreas Gursky, Wolfgang Tillmans, Francesca Woodman and Robert Mapplethorpe (below right) were all represented. 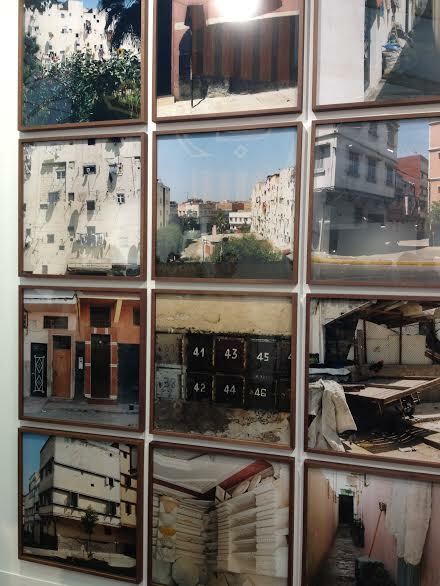 Many focused on locations undergoing change or social upheaval such as Jerusalem, or more organic urban development – in one case a chequerboard of images bears witness to the architectural palimpsest of Barcelona’s streets (below left).